A gritty, no-sugar coating look at the break down of society after a cataclysmic event. The Atlantic coastal cities were to be inundated by a record setting tsunami. Approximately 2000 people were evacuated on the cruise ship Festival of the Waves, along with it's paying passengers and staff. While they easily survived the tsunami's wrath, it was the successive waves of inhumanity that were their undoing. Wow. I loved this book. 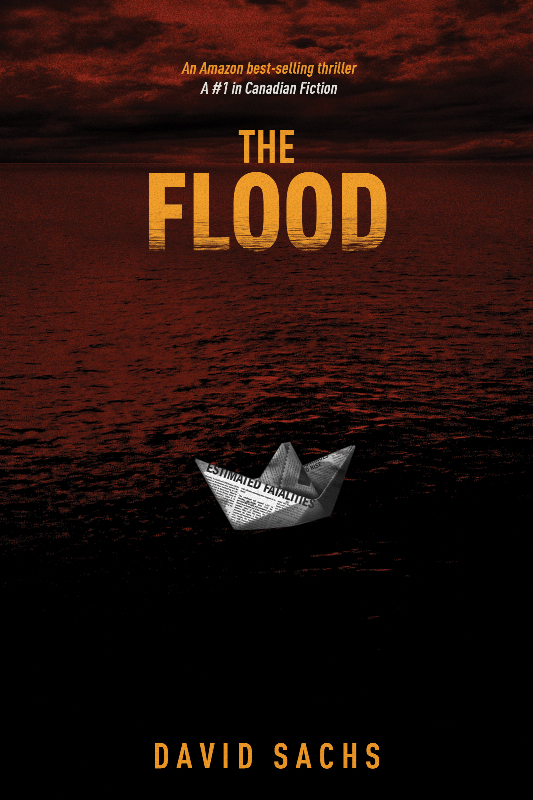 I felt it was a realistic portrayal of the various possibilities of such a disaster. There was a mixture of the good, the bad and the very bad outcomes. This story was carried by the differing leaders that emerged. One had a common sense, take charge approach, another a totalitarian grip on his followers, and a third found religion. Change any one of the leaders and the story could have been very different. As I was reading, I couldn't help think of some of the news coverage I have seen of natural disasters. The majority of the survivors have no idea what to do and they wait for someone else to take charge, to tell them what to do, and then complain when they don't think enough is being done for them personally. Mr. Sachs got this perfect. 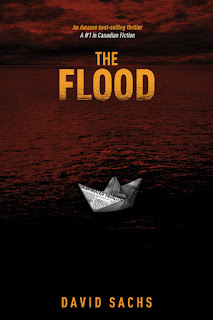 The Flood has a well thought out story line. It is believable even if it's not comfortable to read. There were things that made me cringe and others that brought tears of joy. This is a great debut novel and I am looking forward to future novels from this author. Thanks to author David Sachs for my review copy and for use of the cover image.